Plans for the development of Britain’s new high speed railway between the Midlands and the North moved a step closer today, as HS2 Ltd revealed more detailed design proposals. As an HS2 destination, West Yorkshire will benefit significantly from the jobs and business growth that HS2 will bring to the region. 90 Yorkshire-based companies have already been awarded contracts working on the project, and we expect that number to increase significantly as plans for Phase Two of the railway progress. 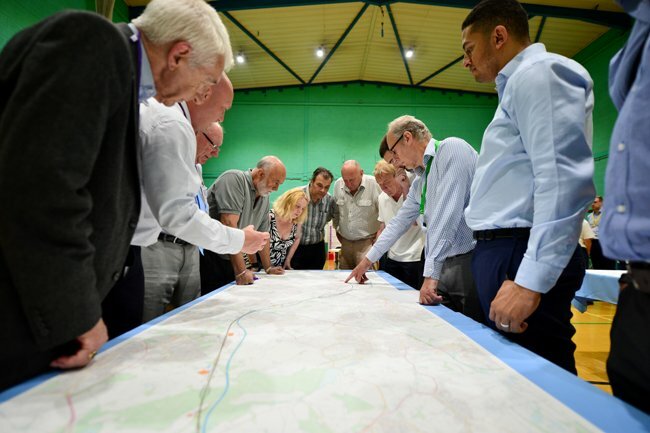 The public consultations will be supported by a programme of community events, which will see teams from HS2 Ltd visit locations in North and West Yorkshire to talk to people about the design plans and the benefits that Britain’s new high speed railway will bring to the region. Leonie Dubois, HS2’s head of Consultation and Engagement said: “HS2 is coming to West Yorkshire and the region will reap significant benefits as a result. High speed rail will play a crucial role in rebalancing Britain’s economy; driving business growth, stimulating investment and creating jobs right across the country.